Star Valley's Trooper is an individual that comes around once in a life. This outstanding horse started his career as a yearling under the guidance of his trainer, Syndi Kanzler. Over the past 9 years he has grown into a fantastic all around horse. His athletic ability and wonderful personality along with his great work ethic has propelled him to the top. 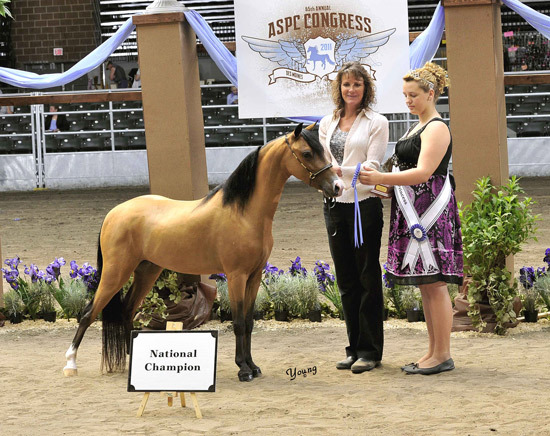 In his short lifetime Trooper has garnered many halter Grand Champion titles and has his HOF in AMHR Halter Gelding Over. When he started his driving career no one would have dreamed he would rocket to the top of the Single Pleasure Driving division, but that is exactly what he did. 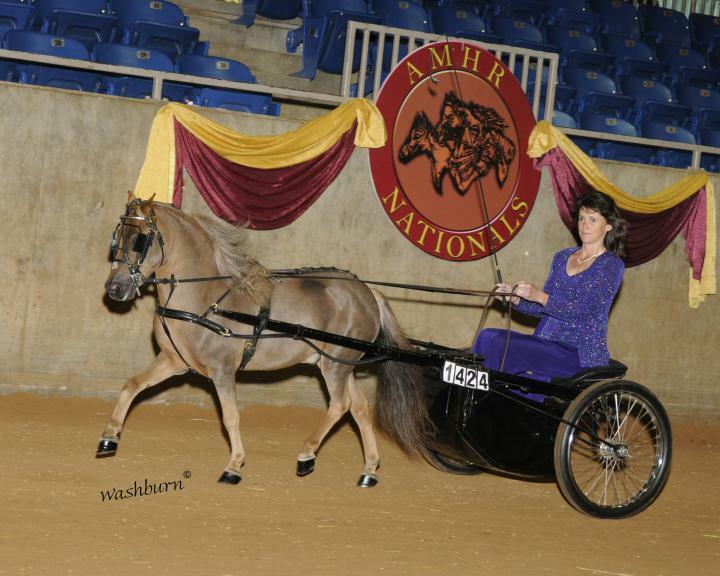 He quickly proved himself by going out and not only winning National GRAND Champion Single Pleasure Driving, he also brought home many National GRAND Champion titles in Roadster. He quickly attained his HOF in both Roadster and Single Pleasure Driving. 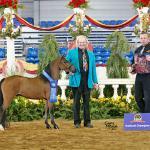 He went on to prove that he was very versatile by becoming an accomplished hunter horse. 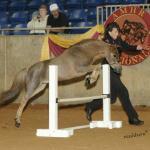 He excelled in Hunter and Versatility, soon achieving National GRAND Champion titles in these divisions as well. Again attaining his HOF in both divisions. 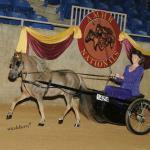 Trooper has taught many people the thrill of driving a miniature horse. His patience and kind heart lends itself to teaching young and old alike. 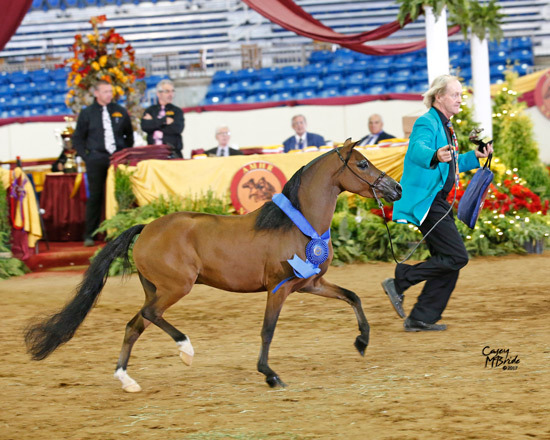 His owner, Margot Cahill, has gotten, as they say "back in the saddle", showing Trooper for the past 4 years to many driving titles. 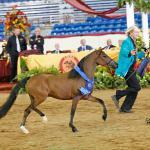 Her love and devotion to this great gelding shows, both in the show arena and at home. Whenever she comes to the barn the first horse she wants to see is Trooper, always with a treat in her pocket for her favorite boy. Trooper has a huge fan club and one of his avid supporters is a young girl from Canada. Sunny Balshaw met Trooper two years ago and it was love at first site. Their teamwork and partnership has blossomed over the years and they have shown how this hard work pays off. 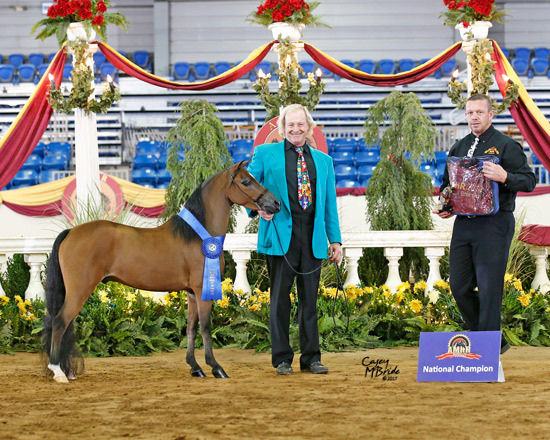 Sunny and Trooper have brought home multiple National wins in Single Pleasure Driving, Roadster, Halter, Hunter Versatility and Jumper. Thank you Trooper for all that you have done for us. We love you very much! SOLD - Congratulations to his new owners! "Tyler" is breeding at it's best. 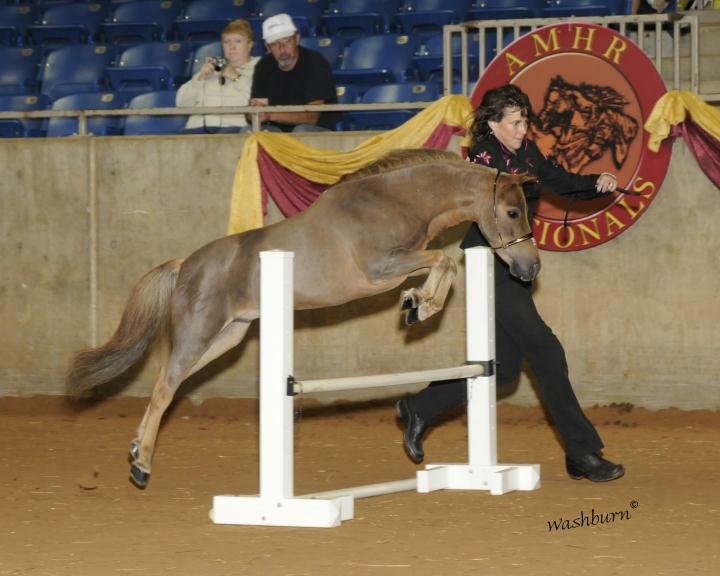 This gelding is balanced, smooth and very correct. He has movement and a very charismatic personality. Trained and presented by Joel White. 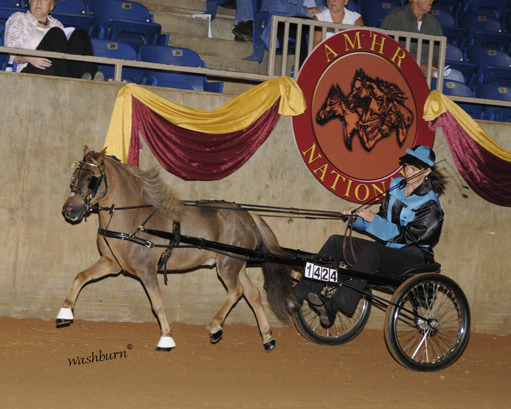 2017 AMHR National Champion Pleasure Driving Stake, Over 34" to 36"
2017 AMHR National Res. 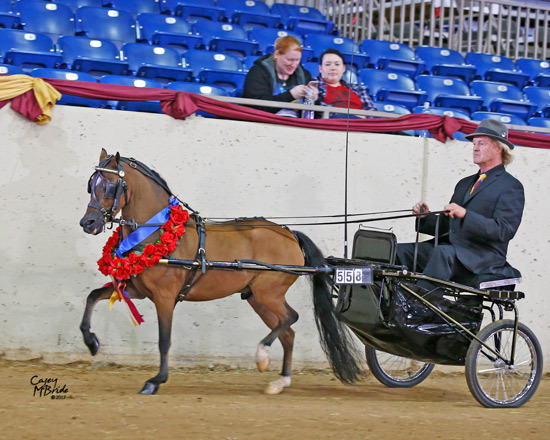 Grand Champion Gelding, Over 34" to 38"
2017 National Champion Pleasure Driving, Over 34" to 36"